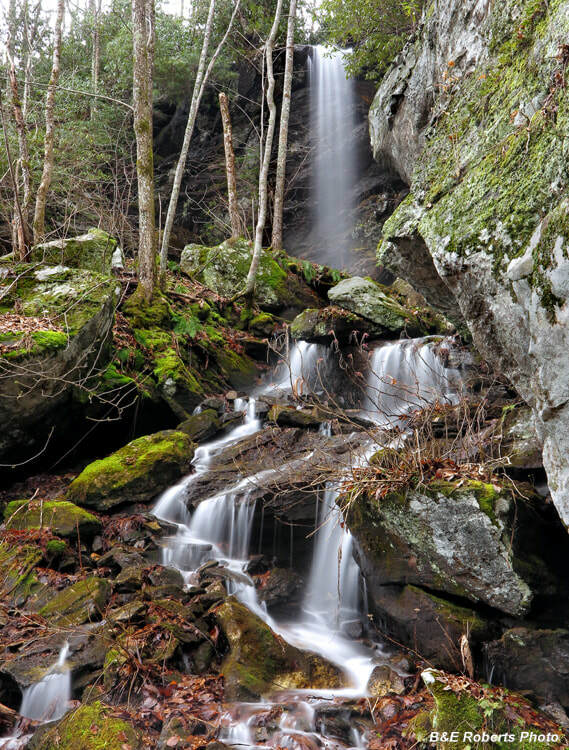 Waterfall Info: This large waterfall, located on the eastern slopes of Eagle Mountain, is on an unnamed tributary of Scataway Creek in the western sector of Stillhouse Cove. This is a small watershed, so the falls is best seen during wet periods. 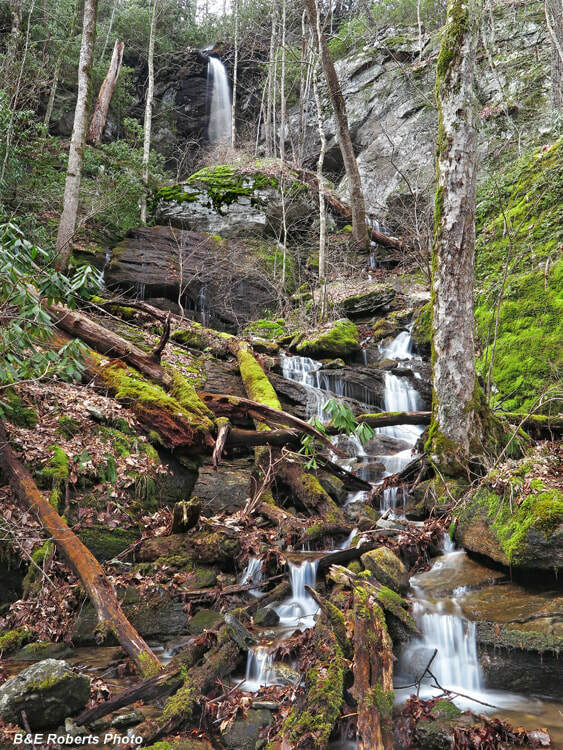 Access Info: Most waterfalls in the southwestern sector of the Southern Nantahala Wilderness are extremely difficult to reach via public land. At the moment, there isn't any detailed access information for this waterfall. Locate the waterfall on a topographic map and property map, and study the maps on your own to find the best way. Be prepared for a brutal cross-country hike. Note that, as of this writing, access from the Scataway Road vicinity is impossible due to private property.